They have an awesome Sunday experience. Their worship service was both exciting and sacred. The music was of high quality. The musicians were skilled. Singing with the worship band was fun and the atmosphere was worshipful. They led us into music that was both celebratory and deeply sacred. They had a mix of hymns and choruses. The teaching team is firm on presenting biblical teaching. The 45 minute expository sermons through the book of the Bible were full of excellent and practical teaching. The main teacher / pastor is a skilled communicator and teaches very well. As one who appreciates expository sermons, I enjoyed every single sermon that I heard. It has been a fresh relief after years of more topical oriented sermons in my last church that I helped to plant. Their mission was Christ centered. The leadership was pretty clear in many ways that this church was Christ centered. They had a generous mission program. On one of our visits, they shared some of the ways the church blesses the community through service, though we missed that opportunity because of our schedule. Their church ushers were efficient at getting us to the seat. This church does all the things that make for a wonderful hospitality vision. I believe they have been good at keeping that visitor welcome vision in front of their volunteers. We felt honored to be so welcomed. They are not like this church that had the right systems but no still no welcome. After the first impressions, what is next? We are new movers to a new town, relocating from another country (where we lived for 7 years), and have no personal friends. After a few weeks, we were asking ourselves about how do we go about meeting people, learning more about the church, and even where do we begin to make a friend. Sunday morning was simply too busy moving people around between services for any friendships to form. There was no clear directions for us about where to start. Does this church have small groups, life groups, bible studies, or something? Is there a “Getting to know our church” type class? Is there a gathering with the pastor at some point? Is there a meal where I might sit at table with another family? As a church visitor, our family doesn’t know all the answers to these questions. We don’t know where to go next. We tried one Saturday event spending 3-4 hours with church people on a work day. Our children visited the youth group for 6-8 weeks. How easy is it for your repeat visitor to make a new friend? What programming exists where newcomers can make a friend? How clear are you in communicating that to your newcomers? Clear next steps are not hard. One church gave out coupons to their Wednesday night supper. One church invited visitors to serve with them in the community on the 4th Saturday, plus bring a friend to help serve. One church invited us to a guest luncheon at the pastor’s house along with other newcomers for the month. Sent us a letter from the pastor inviting us to a homemade breakfast on the 1st Sunday of the month. Called us to personally invite us to that breakfast. At that breakfast, the pastor introduced a little about the vision and mission of the church, and clearly pointed us to a 101 type class. That church has thought through their process and we are finding ourselves naturally making friends with other newcomers as we experience this process together. Each church clearly communicated to their newcomers about the one simple next step the visitor could take to get to make a friend. “In short, how does your church move people from visiting to belonging? The answer to that question is a bigger deal than a guest’s first or second visit to your church. Helping people experience the reality of belonging-to God and others-in a way that causes them to live for God and others is kingdom of God-sized stuff. That’s a really big deal.” (Lasting Impressions: From Visiting to Belonging, by Mark Waltz). 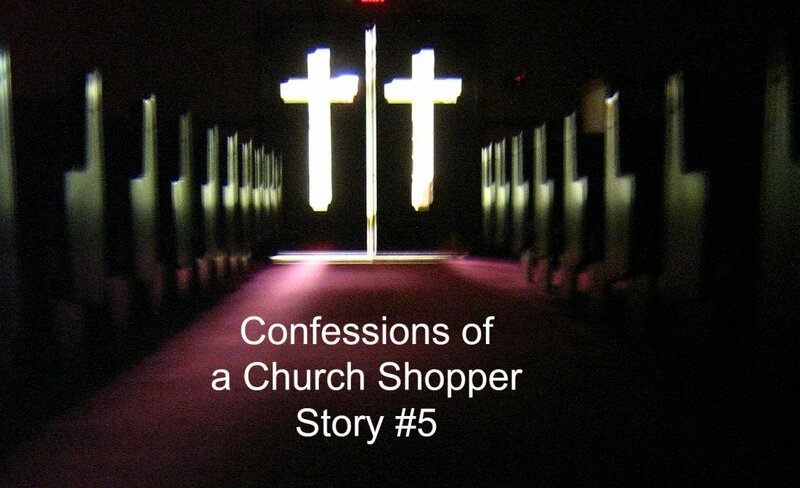 Read more: The best church visitor assimilation tool.